This webinar will provide an overview of the utilization of microflow LC/MS for the quantitation of therapeutic peptides at Merck Research laboratories. An overview of the use of LC-MS for peptide analysis will be presented along with various case studies for in vitro and in vivo studies focused on the characterization of various drug metabolism and pharmacokinetic properties in a discovery (non-regulated) pharmaceutical research environment. 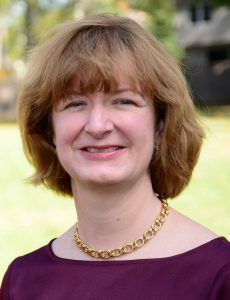 Lucinda has served as an adjunct faculty member for Stevens Institute of Technology, Hoboken, NJ and was elected to the American Society for Mass Spectrometry Board of Directors as treasurer from 2010-2012. She has authored more than 30 research articles and book chapters. Her research interests include mass spectrometry, bioanalysis, and sample preparation approaches to increase the quality and speed of high throughput analysis in a drug discovery environment. If you are interested in viewing other Bioanalysis Zone webinars, please find our other events listed here.